The residential portion of Square 50 is the top "block" whose exterior employs a rainscreen using Swisspearl fiber cement panels distributed by Cladding Corp and supported by an ECO Cladding aluminum sub-framing solution. 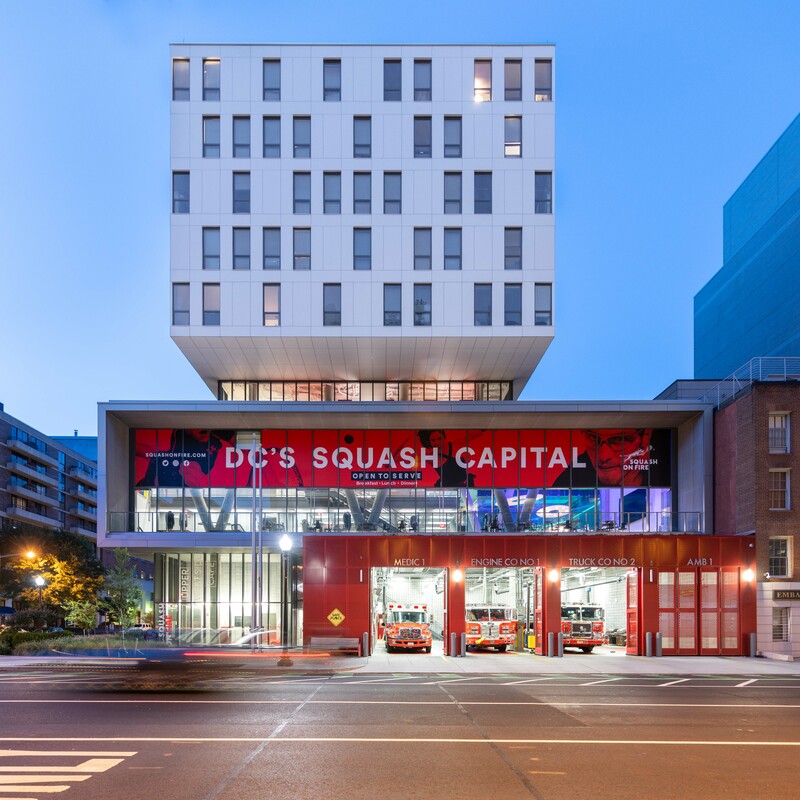 The pristine white panels are from Swisspearl's CARAT color family: Onyx #7099 and provide a vivid contrast to the red facade of the fire station on the ground floor. All of the 2018 award winners are included in ArchDC's Winter issue. To find out more about this project or about Swisspearl fiber cement rainscreen panels contact Cladding Corp at 888-826-8453.